Jen Mandelbatt is a Changemaker because she fights to break down both the internal and external barriers that prevent all those who identify as women from engaging in policy and discussion and encourages them to drive the legislative decisions that affect their lives. She's raised over $9,000 on Givebutter for her nonprofit, Platform, and she’s only just getting started. Jen Mandelblatt had always been passionate about government and women’s issues. She studied Labor Relations and Inequality Studies at Cornell University, to which she credits much of her background in labor movements, community organizing, and collective action. The Women’s Caucus at Cornell also offered Jen a perspective on the pervasive issues of sexism and the ongoing need for feminism, as well as providing a tight-knit community through which to grow her ideas. But it wasn’t until her internship with the U.S. Senate HELP Committee and Senator Tom Harkin’s inspiring response to her question about improving the workplace for women in the face of a gridlocked congress that she had an idea that would turn her passion into a team of six young women fighting for their voice in politics. That’s exactly what Jen did. A year after her conversation with the Senator, Jen brought together a team of women with whom she’d done Model UN in high school and talked to them about her idea for an event that would bring all who identify as women to stand together in the face of a government that didn’t always listen to women’s voices when deciding on women’s issues. By the end of the lunch, the team had planned a national convention. In July 2016, the Platform team hosted what was intended to be a one-time convention. 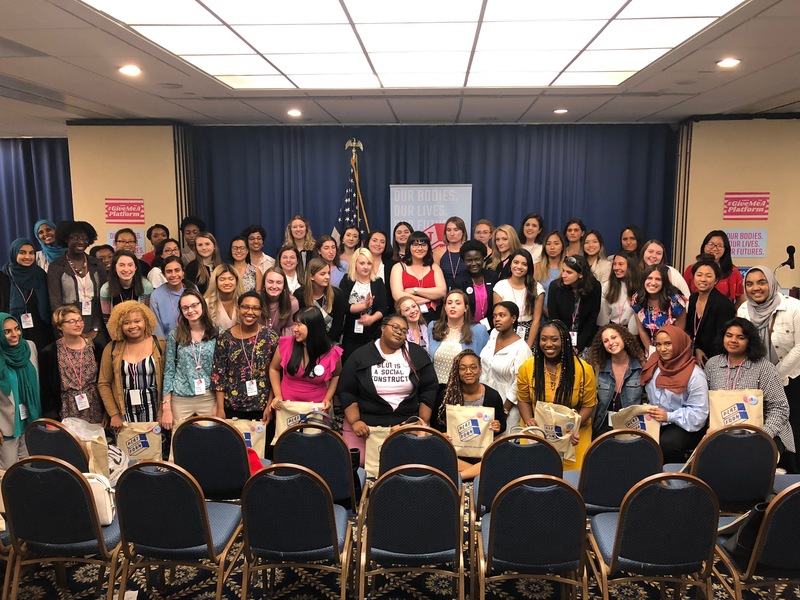 The goal was to bring young women from across the country together ahead of the 2016 Election in order to create an agenda that would inform elected officials that if they want women’s votes, they have a duty to protect their rights. 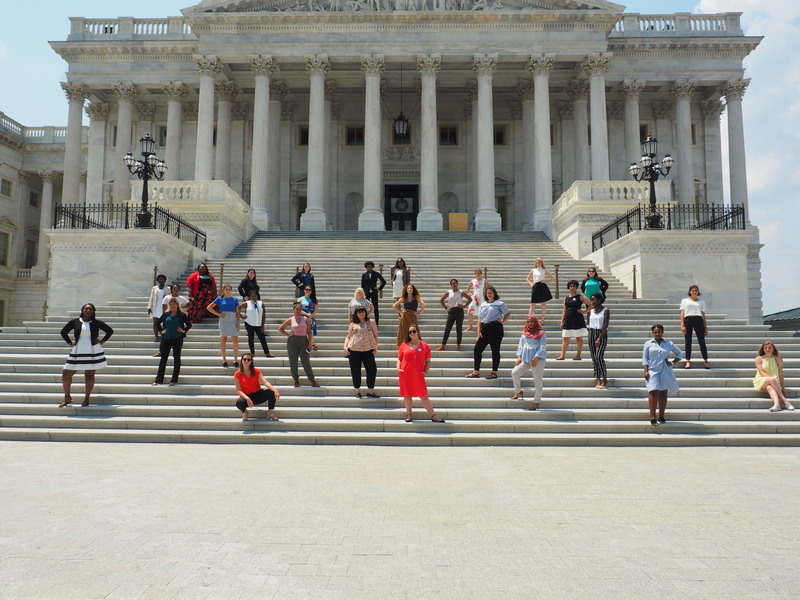 From July 11-13, Platform was joined by over thirty-five women from thirteen different states. The attendees participated in eight expert-led workshops designed to expand the conversation around “women’s issues.” Workshops included the intersection of Gender and Disability Rights, led by the Chief of Staff at the U.S. Department of Labor’s Office of Disability and Employment Policy, as well as College Affordability, led by the Managing Director of Generation Progress. They had the opportunity to hear from women paving the way, including Senator Mazie Hirono, Congresswoman Eleanor Holmes Norton, and “Top 40 Under 40 Lobbyist,” Dee Martin. After these workshops, the attendees worked on finalizing Platform’s agenda to present to elected officials. After the content was finalized, Jen remembers one woman standing up and saying that she did not always feel like the feminist movement represented her, but because of Platform, she was proud to be a feminist and proud to be a part of a movement she helped create. That is how the delegates arrived at the title, “Declaration of 21st Century Feminism.” On the last day, Platform members took the new agenda and met with twenty-nine Congressional offices. The convention was a massive success, but Jen wasn’t sure that the original goal of hosting a single convention had satisfied the impact she knew they could have. A week after the convention, she went to speak with her professor of Labor and Employment Law. When she brought up post-graduation plans and potential work on Capitol Hill, her professor gently pushed back. “He told me, ‘I have to tell you something you don’t want to hear, but you have to do Platform after you graduate.’” With his words of encouragement, Jen decided to take the leap. 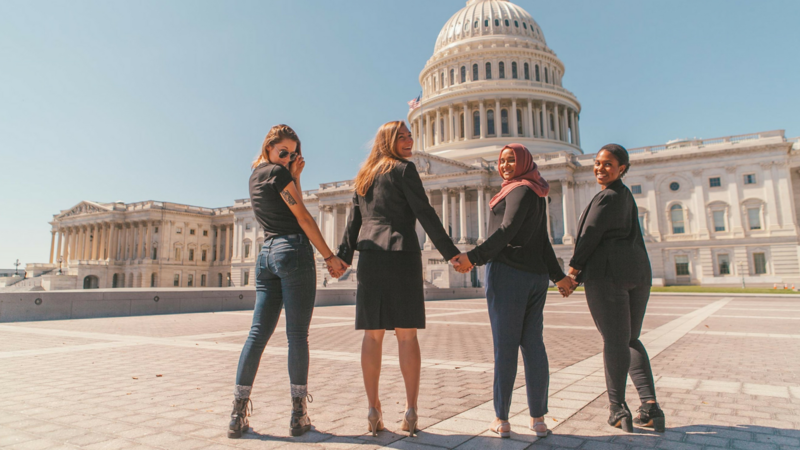 Since the original convention, Platform has since expanded to include Training and Lobbying, Policy Debate Packs, and a weekly newsletter that focuses upon stories in policy, advocacy, and feminism. The collective goal is to advance feminist dialogue and policies as well as to encourage and prepare a new generation of leaders. Now in the midst of planning the third annual convention, Jen says a lot her day-to-day work involves community building with similar organizations who came before them, strategic planning for voter mobilization, outreach, working to provide support for community members, and, of course, fundraising. “Thank goodness for Givebutter.  We don’t have networks of people with hundreds of thousands of dollars, so we are still figuring out ways to develop stable revenue models. Politics needs to be accessible to everyone, which means we need to be financially accessible. Givebutter has been so easy and accessible for us." Platform plans to expand its chapters at colleges across the country as they continue their core mission of supporting future leaders and driving change. To help grow their chapter network, Platform plans to utilize Givebutter's brand new chapter management tools for nonprofits. Legislation continues to be an area of focus for Platform and their supporters. In the future, Jen hopes they will be able to work with individuals and communities to identify legislation they want to tackle at a local, state, or national level, and help them to get that legislation written. What’s Jen’s advice for anyone hoping to effect change?